Hanover, 29 March 2019. Following the grounding of the 737 MAX, TUI has made arrangements in order to guarantee customers’ holidays. The Group is utilising spare aircraft of its fleet, extending expiring leases for aircraft that were supposed to be replaced by 737 MAX aircraft, as well as leasing in additional aircraft. 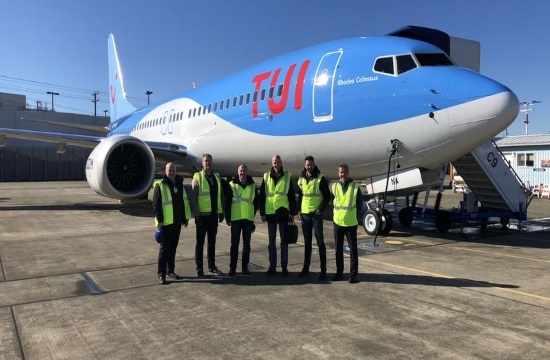 TUI’s fleet, which comprises around 150 aircraft, currently includes 15 grounded 737 MAX for the UK, Belgium, the Netherlands and Sweden. A further eight 737 MAX are scheduled for delivery by the end of May 2019. No dates have yet been announced for modifications of the existing aircraft model by the manufacturer, neither for approval of such modifications by the Federal Aviation Administration (FAA) and the European Aviation Safety Agency (EASA). Therefore, TUI has taken precautions along with other airlines, covering the time until mid-July, in order to be prepared for the Easter-, Whitsun- and start of the summer holiday season and to secure holidays for its customers and their families. Assuming 737 MAX flight resumption latest by mid-July, the Group currently expects to see a one-off impact on underlying EBITA of approx. 200 million euros in connection with the 737 MAX grounding. This impact is especially attributable to costs related to the replacement of aircraft, higher fuel costs, other disruption costs, and the anticipated impact on trading. As a result of this one-off impact, the Executive Board of TUI AG has decided today to update the guidance and now expects an Underlying EBITA1 rebased for FY19 of approx. minus 17% (previously “broadly flat”) compared with FY18 of 1.177 billion euros2. Should it not become clear within the coming weeks that flying the 737 MAX will resume by mid-July, TUI will need to extend the abovementioned measures until the end of the summer season. The current assumption for this additional one-off impact until 30 September 2019 is up to 100 million euros. For this scenario the Executive Board of TUI AG has also decided today to update the guidance for the Underlying EBITA1 rebased for FY19 to up to minus 26% compared with FY18 of 1.177 billion euros2. TUI Group is the world’s number one integrated tourism group operating in around 180 destinations worldwide. The company is domiciled in Germany. The TUI Group’s share is listed in the FTSE 100 index, the leading index of the London Stock Exchange and in the German open market. In financial year 2017, the TUI Group recorded turnover of €18.5bn and an operating result of €1.121bn. The Group employs 67,000 people in more than 100 countries. TUI offers its more than 20 million customers comprehensive services from a single source. It covers the entire tourism value chain under one roof. This comprises around 380 Group-owned hotels and resorts with premium brands such as RIU and Robinson and a fleet of cruise ships ranging from the MS Europa and MS Europa 2 luxury class vessels to the “Mein Schiff” fleet of TUI Cruises and the vessels of Marella Cruises in the UK. Furthermore, TUI features leading tour operator brands, 1,600 travel agencies in Europe and five European airlines with around 150 modern medium and long-haul aircraft. Global responsibility for sustainable economic, ecological and social activity is a key feature of our corporate culture. TUI Care Foundation supports the positive impacts of tourism. It initiates projects creating opportunities for the next generation and contributing to a positive development of the holiday destinations. Further information is available at www.tuigroup.com. 1 Underlying EBITA has been adjusted for gains/losses on disposal of investments, restructuring costs according to IAS 37, ancillary acquisition costs and conditional purchase price payments under purchase price allocations and other expenses for and income from one-off items. 2 Rebased in December 2018 to 1.187 billion euros to take into account 40 million euros impact for revaluation of Euro loans balances within Turkish Lira entities in FY18 and further rebased to 1.177 billion euros for retrospective application of IFRS 15.